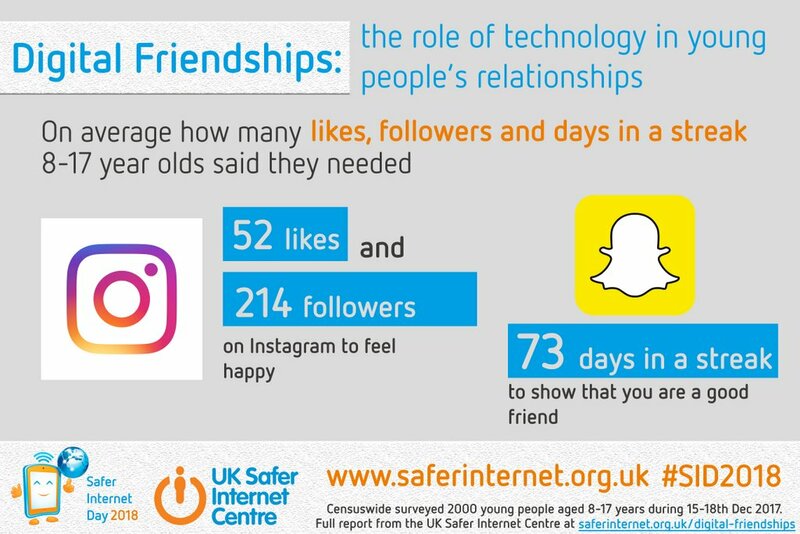 New research into Digital Friendships commissioned by the UK Safer Internet Centre, has been published to mark Safer Internet Day 2018. The research has revealed that young people are more likely to have a positive experience than a negative experience when online. 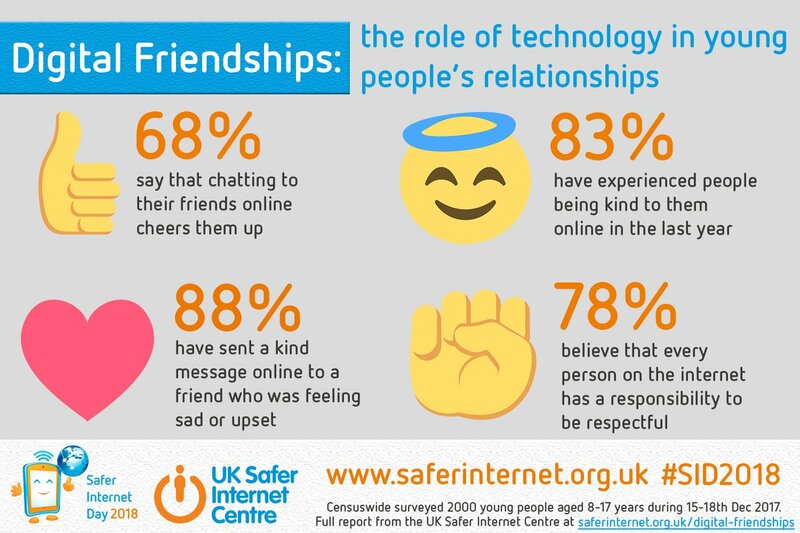 This research comes as Safer Internet Day 2018 was being celebrated globally on Tuesday 6th February 2018 with the slogan “Create, Connect and Share Respect: A better internet starts with you”. The UK Safer Internet Centre – comprised of Childnet, Internet Watch Foundation and South West Grid for Learning – believe that the key to continuing the positive use of the internet is to empower young people with the skills they need to navigate the online world in a safe and respectful way, and to ensure schools, parents and carers and other members of the children’s workforce have the tools to support young people to do so. 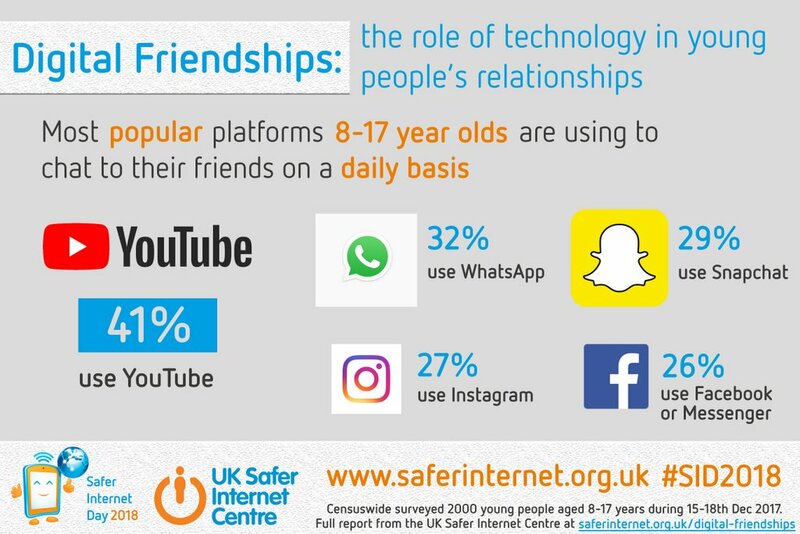 This entry was posted in 2018, Online Safety, Research, Safer Internet Day, Schools and tagged Research, Safer Internet Day, Safer Internet Day 2018, SID, SID 2018. Bookmark the permalink.